You heard me. 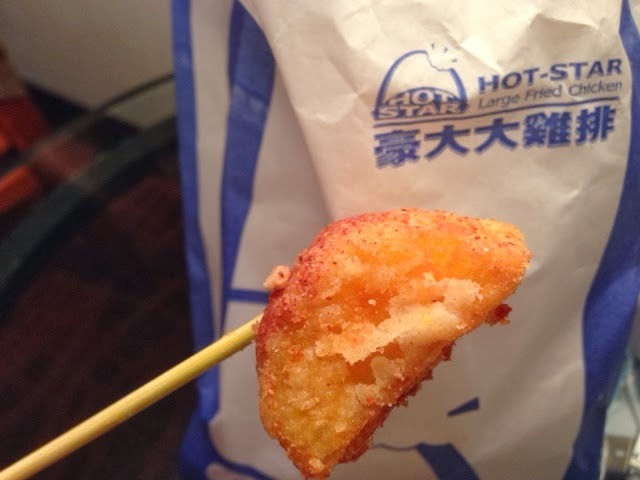 You do not need to travel all the way to Shilin Night Market just to try the famous Hot-Star Chicken Cutlet. 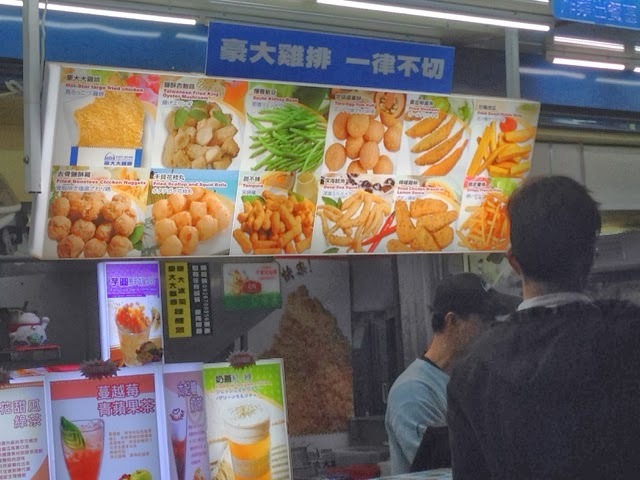 Now you can buy the popular cutlet in Ximending (西門町). 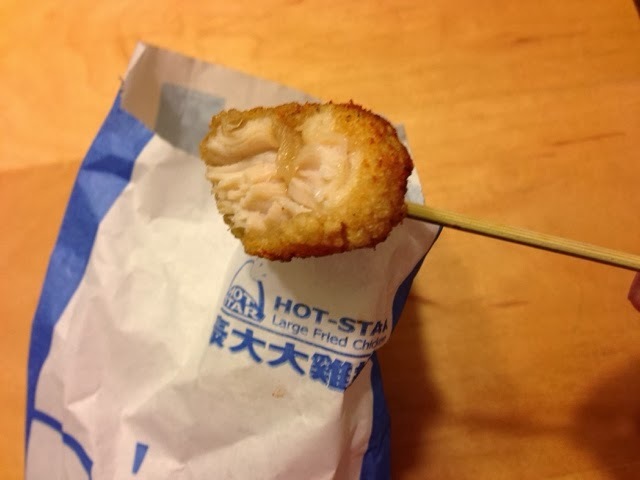 Enclave in the popular and hip Ximending (西門町) district, Hot-Star Large Fried Chicken (豪大大雞排) has recently set up an outlet. 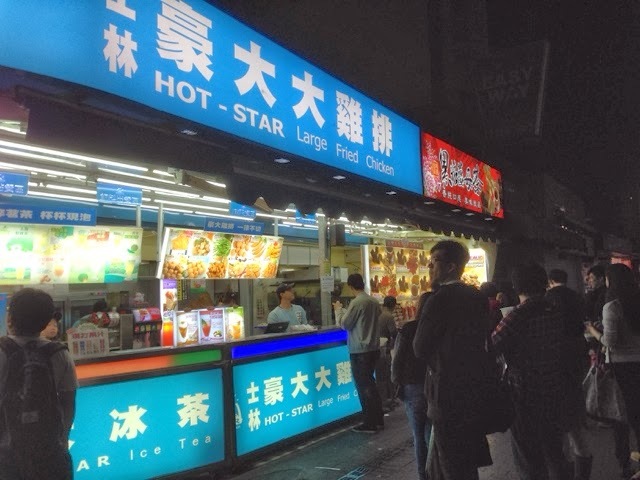 Strategically located at the cross junction of Hanzhong Street and Wuchang Street,the Hot-Star Big Chicken Cutlet still attracted long queues. 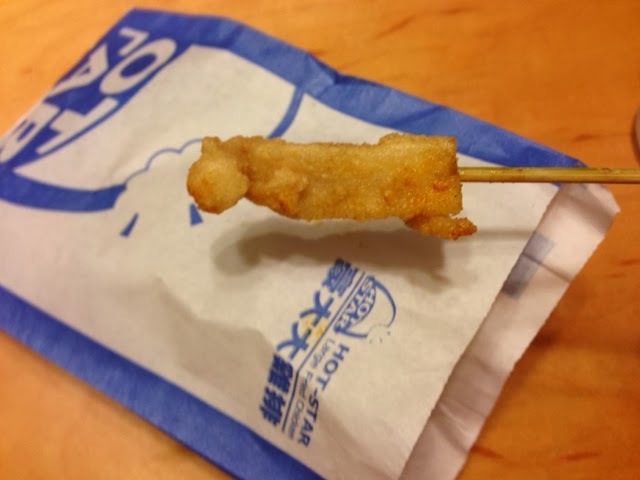 Apart from the large fried chicken, this outlet sells other deep fried snacks akin to the Japanese Tempura. Do also prepare to wait for a while before you get your food. 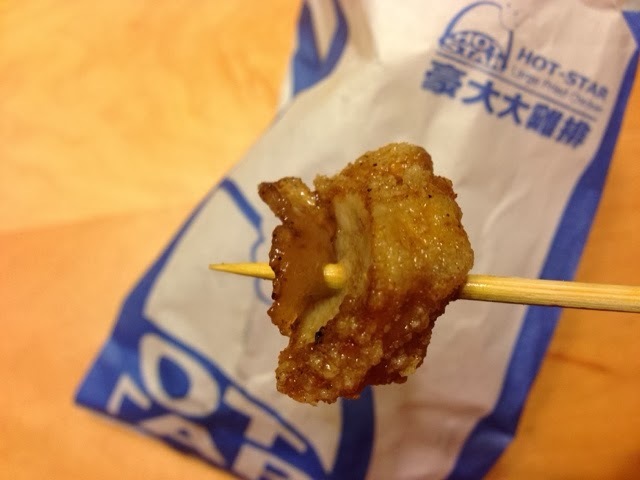 Instead of ordering the usual large fried chicken, we ordered something else for a change.